Kate Jordan argues that prize winning Hastings Pier is a tangible glimpse of an optimistic future where local communities and councils collaborate with the best designers to produce a new kind of heritage, relevant to our time. 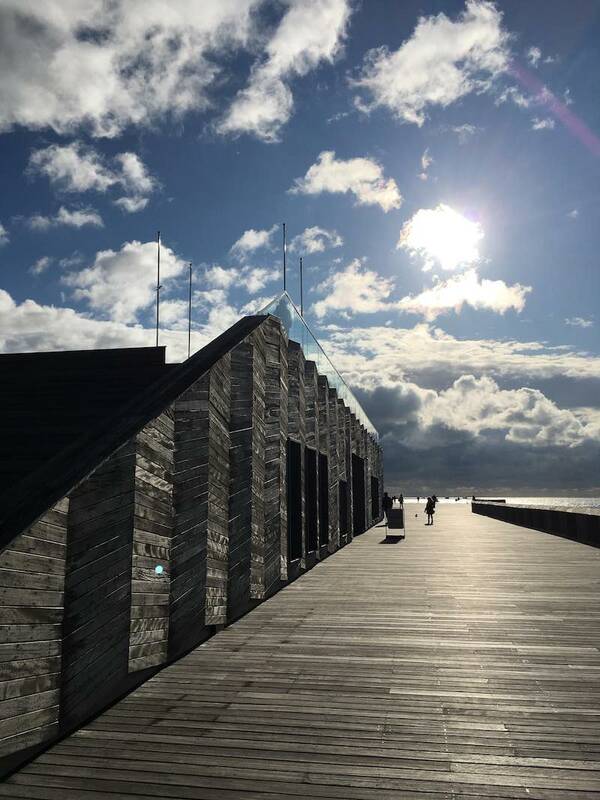 If the Stirling Prize is a barometer of prevailing winds in architecture then last year’s winner, Hastings Pier, suggests a sober outlook. This stark, timber structure, designed to replace the original Victorian pier, which was destroyed by fire in 2010, is far cry from the ‘starchitect’ designed winners of previous years. Indeed, it would be hard to find more contrasting buildings than Hastings Pier and Foster's ‘Gherkin’ which picked up the prize in 2004. If the high production values of early 2000’s prize-winners trumpeted economic confidence and rejoiced in cutting-edge technology, what does the decidedly low-tech, plain-speaking Hastings Pier tell us about the current climate? And what does it say about the changing role of the architect? One might suggest that this is a design for the age of austerity. Aside from the reuse of some of the original timbers, the new pier, built parsimoniously on a shoe-string budget, would seem to have little in common with its playful predecessor, or indeed any of the other Victorian pleasure piers dotted along the South Coast. But, rather than replicate the traditional end of pier structures, dRMM’s vision was to provide an open, accessible space which could service a variety of events and temporary installations. 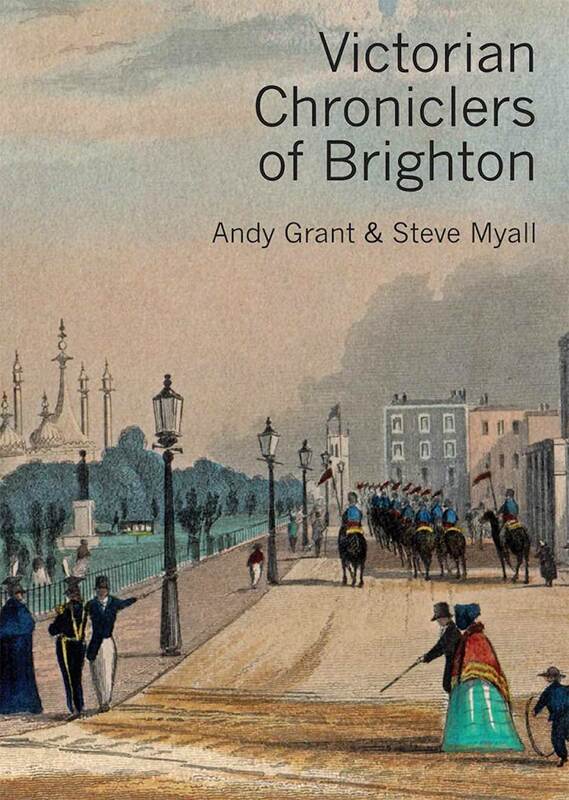 In spirit, the pier shares a great deal with early examples such as Brighton’s Chain Pier which operated on the promenading principle: that vistas provided sufficient pleasure. 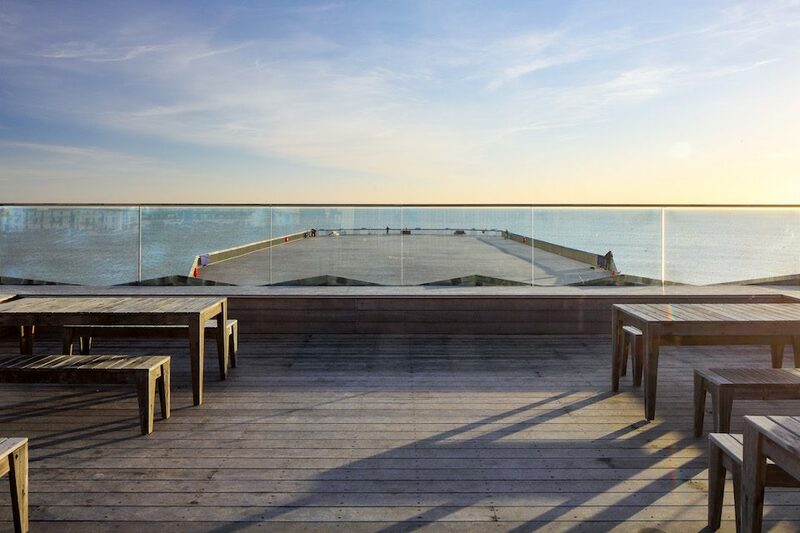 Beyond the unassuming structure in the centre of the new Hastings Pier lies a vast expanse of timber decking, which takes the bold step of re-staging this principle by offering nothing more than unbroken views of the sea and built landscape. It is a space which asks little of one’s wallet and much of one’s imagination and as such, is the very antithesis of Brighton’s Palace Pier. It is impossible to fully appreciate Hastings Pier, however, without understanding the wider context, for this project was a true collaboration between the community, the local authority, the engineers, and the architects: a collaboration that highlights the power of activism and reminds us of the social value of architecture. The loss of the original pier had a profound economic and symbolic impact on the landscape, threatening to undermine the regeneration programme that was underway in Hastings. Though there was popular support for the rebuilding of the pier, the registered owner, Ravenclaw Investments, failed to provide funds, requiring Hastings Council to step in and purchase the remains of the pier for £1. A RIBA competition was launched and designs by dRMM were selected but continuing with the project meant raising substantial funds. The Hastings Pier Charity was formed and, together with dRMM mounted a crowdfunding campaign which raised, over the course of 7 years, £590,000 of the £14.2m cost - the Heritage Lottery Fund made up the shortfall. The Hastings Pier Charity sadly went into administration in November 2017, but this should not detract from their enormous achievement in galvanising a campaign that resulted in a Stirling-Prize winning building, putting Hastings on the map. The charity had the clarity of vision to recognise that, beyond design, architects can perform valuable roles as facilitators and campaigners. As Ben Darbyshire, President of the RIBA suggests, “Hastings Pier is a project that has evolved the idea of what architecture is and what architects should do”. 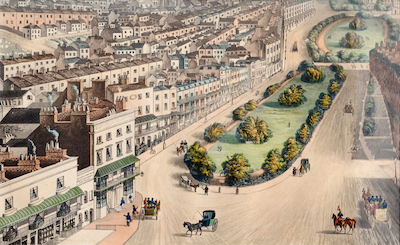 Human scale excellence - and a lesson for Brighton and Hove?